An ambitious online travel agency is choosing Teesside as its destination for growth after securing a six-figure investment from the Northern Powerhouse Investment Fund (NPIF) . VCH Travel uses a bespoke ‘destinationless’ search system developed in-house which processes millions of pieces of data in just a few seconds to offer customers holiday options that are tailored precisely to their specifications. The eight year-old firm is set to open its new digital headquarters in Stockton as part of the next stage of its development, and will also shortly be launching a new version of its search software designed specifically for use on mobile devices. The investment is supporting VCH’s expansion plans and its continuing recruitment of skilled staff who are servicing growing customer demand and systems management needs. Founded in 2010 by Martin Jones and Nick Jackson, VCH Travel has grown steadily by focusing primarily on providing beach holidays around Europe and the Middle East via its www.verycheapholidays.co.uk website and team on telephone advisors. Martin Jones, who has two decades’ experience in the travel and technology industries, says: “We’re one of only two UK travel agents that can offer this type of advanced search technology and it will be the basis on which we work towards becoming one of the top firms in this sector in the next three years. “We spent four years developing our systems in house to enable it to process a huge amount of data extremely quickly and know it provides exactly the sort of holiday options that our customers are looking for. “We have a proven business model in place that is perfectly suited to scaling up as customer demand grows, and moving to new premises in Stockton will give us the base we need to expand and create more North East jobs. “RMT understood what we wanted the business to achieve and recommended FW Capital as a good option for sourcing the development capital we were looking for. Tees Valley Mayor Ben Houchen adds: “I’m always happy to welcome growing, innovative businesses to the region and VCH fits that bill perfectly. Michael Cantwell, head of corporate finance at RMT Accountants, says: “VCH has taken a proactive approach to developing proprietary systems which enhance its customer conversion rates and hence will drive its future progress. 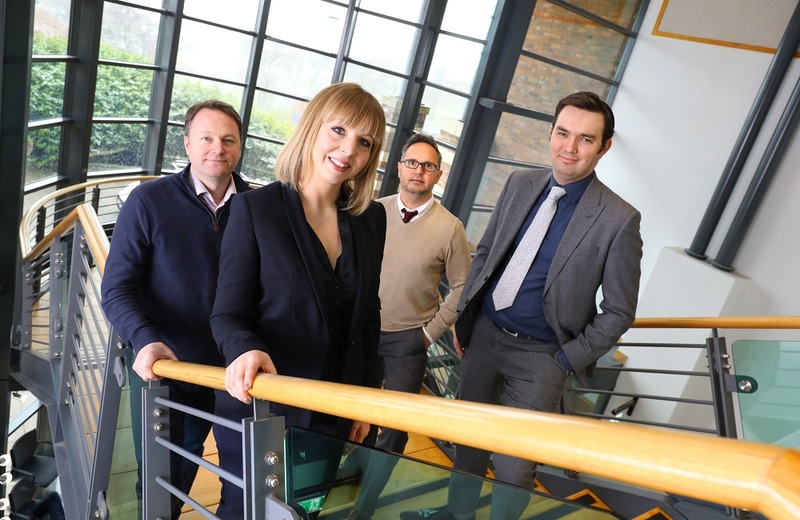 Rachael Guest, investment executive at FW Capital, adds: “The VCH management team presented a clear view of how they plan to grow the business over the next few years and just how far they believe they can take it. Alex Wilby, partner at Swinburne Maddison LLP, says: “It has been a pleasure working alongside Martin and Nick at VCH and helping them secure the investment which can push their already highly successful business forward. I look forward to continuing to work with the team at VCH and seeing the business go from strength to strength.